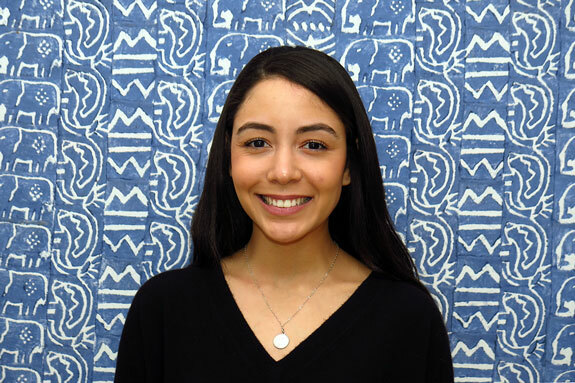 Pack for a Purpose is excited to welcome our newest intern, Tabatha Centano! I am a senior at North Carolina State University finishing a degree in Communication with a concentration in Public Relations. I enjoy reading, writing, and traveling. While I have learned a lot in my studies in Communication, my first passion has always been children and helping others. Because of this, I have been interested in non-profit organizations and how I can help in my community. When I was searching for internships, I initially only looked at options that were focused on public relations. Realizing that PR skills can be utilized in many different ways, I decided to broaden my search. I was excited to learn about Pack for a Purpose from a fellow classmate who was an intern this past summer. It turned out to be a perfect fit. I have found somewhere I am able to combine getting work experience, helping others, and learning about different cultures. Since I started in January, I have enjoyed getting to know the organization better as well as learning about the various day to day tasks of running a global non-profit. I have already put my PR skills to use in editing blogs and working on social media posts. I look forward to continuing to assist in maintaning our website and increasing our outreach. I am thankful to have the opportunity to grow from this internship and I hope to be able to Pack for a Purpose myself, and spread the word of the wonderful work being achieved here.